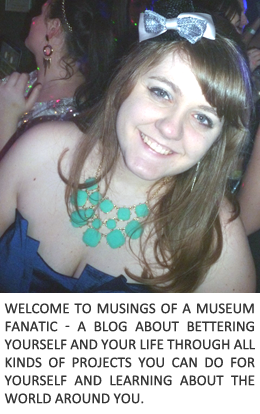 Musings of a Museum Fanatic: Working on the 101 list oh yeah! Lately life has been pretty darn good. I've been accomplishing quite a bit so far in 2014. The things I'm probably most proud of so far has been my commitment to organizing along with my starting of 2014 with a bang and getting things crossed of my 101 list. The one I'm probably most excited about completing is the one involving the ice cream maker. You would have thought I would have that one done as soon as I started the list. I think I was just afraid it would be super difficult but starting out with ice cream mixes and then moving up from there made it seem super easy! After making Turtle Ice Cream totally from scratch (check back tomorrow for the recipe!!) I'm not worried about it at all anymore. I can make any ice cream from scratch! Our blogging weekend was a big help to my 101 list, in addition to finishing up my ice cream task Stephanie also helped me start my 3 iconic Chicago food things. I left that one purposefully vague so it could encompass different things. 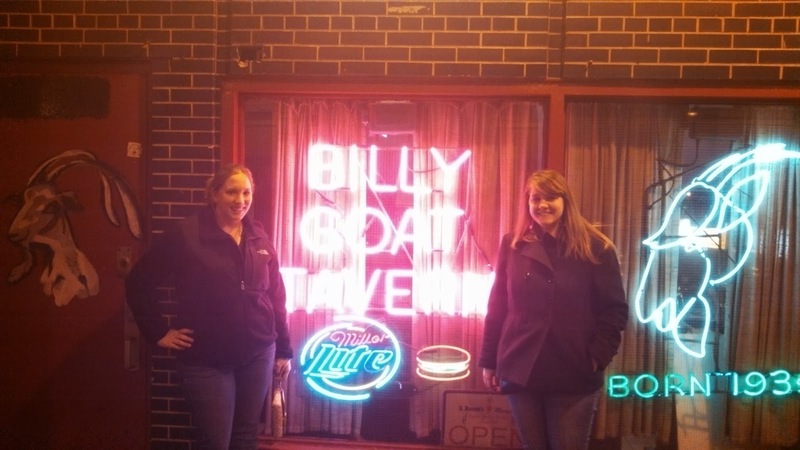 We decided that Billy Goat Tavern definitely fit the bill as something very iconic. It was actually a really good burger and now I can go to the off shoot out by me with a clear conscience since I went to the original first, plus I didn't get yelled at! Double score! 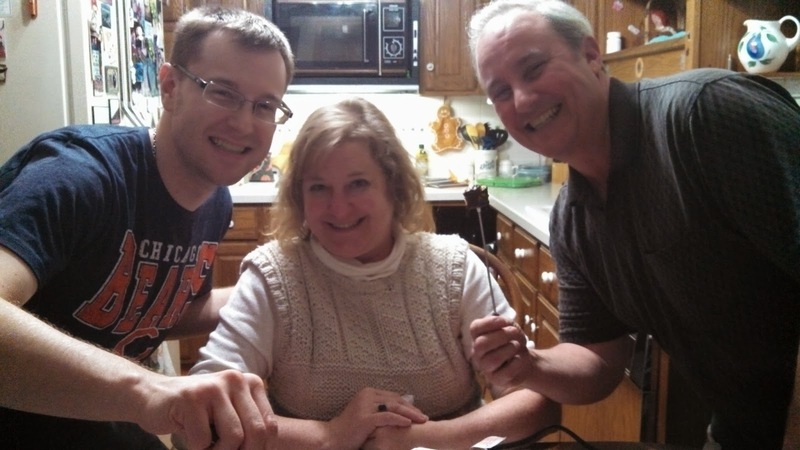 Kevin's parents, Kevin and myself also enjoyed working on my chocolate fondue task! Now all I have left to check off is to make an entree/meat fondue. I'm still working a lot on my electronic hoarding issues and my scanning. Both of which are definitely much bigger projects than I had thought. I'm ok if these tasks don't get fully crossed off because they're such momentous projects that there will still be a lot accomplished. My new camera finally came and I've got it all set up. Tonight for our Gamma Phi brewery tour I'm going to break it out for the first time and hopefully I will have some good photos to share! 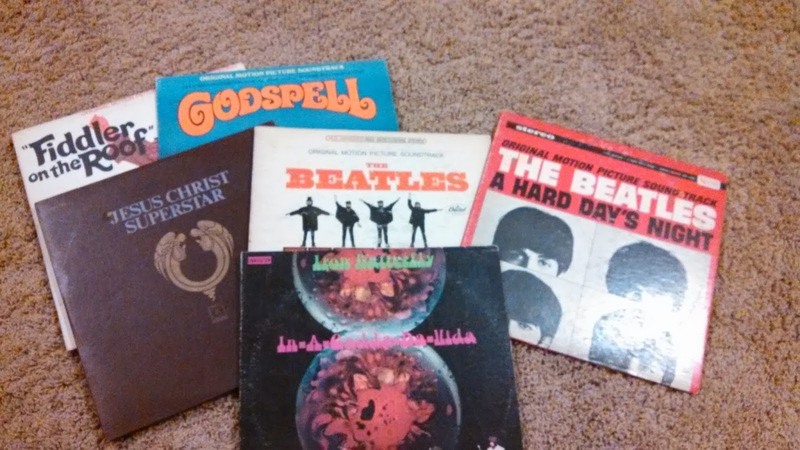 Also I have been pilfering my dad's record collection!! Looking at my 101 list I'm feeling alright about the progress I've made but I do know there are some simple tasks that I could be working on and already completed. I think that's going to be my next goal, identify and complete some of the one time numbers and have them accomplished!! My boyfriend has an insanely large record collection. 101 list? explain please. :D great to accomplish so many things already. well done! Yum to the icecream!!! we had an icecream maker but it didn't work very well. at least it was free and not a waste of money. make sure you get a good one!